I lay in my daughter’s bed, waiting for her to fall asleep. We’d finished reading (Green Eggs and Ham and Goodnight Moon), and I’d dimmed the light so she could drift off to sleep. Francesca was babbling, scripting, talking softly in that endearing three-year-old voice of hers about what she did that day, what she planned to do tomorrow, and her general assessment of the world as she sees it, (“Birds eat worms. Yuck. YUCK!”) She was quiet for several moments, and I figured she had fallen asleep, my cue to slip away and finish the nightly chores. But then she spoke again, and her words froze my heart. 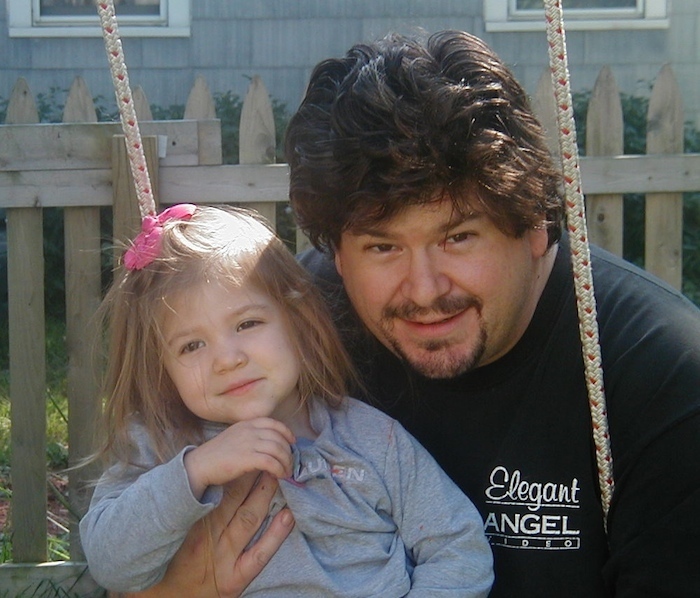 Father and daughter circa 2006, around the time this article was originally published. “Rocco has…the autism,” she said. Rocco is her five-year-old brother. “We have to help him…to make him better,” she said. Francesca spoke, but the words were her mother’s. For the past week or so Francesca has been curious about the autism awareness symbols she sees around our house — the puzzle-piece t-shirt and necklace her mother wears, the bumper sticker on our car. Her mother must have explained it to her. I knew this day was coming, but it still arrived too soon. How do you explain to a child that their sibling has autism? Autism, which often has few physical characteristics and lots of inexplicable “weird” behaviors, is hard enough for adults to understand. How will a child ever get it? There’s a long road ahead for Francesca, as there is for all siblings of autistic children. In a “normal” sibling relationship there are ongoing shifts in feelings of resentment, jealousy, embarrassment, pride, affection and companionship. When your sibling has autism—or any of a number of other disabilities, for that matter—those feelings are all magnified. Over the course of her lifetime, Francesca will undoubtedly face a number of other feelings concerning her “special sibling,” feelings like guilt, anger, shame, sorrow, and confusion. The sibling relationship is the longest relationship in a family, so sibling issues are lifelong issues that change throughout the lifespan. Francesca was filled with innocence and wonder in December 2006. I was bloated, depressed, and suffered from a terrible haircut. 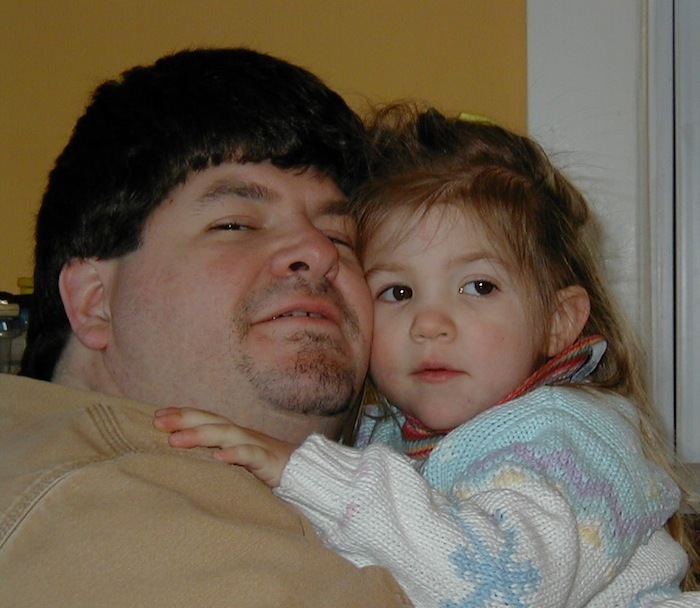 Lying there in the dark, hearing my daughter say the word “autism” in a tiny voice as delicate as blown glass, I’m filled with my own blend of anger and sorrow. Why does she have to know about this, now, at such a young age? And how will having an autistic sibling impact her when she’s five, ten, fifteen or twenty? How about when she’s forty or fifty? What does the future hold for any of us? Suddenly I’m glad I dimmed the light in my daughter’s room. The look on my face, the tears in my eyes, might frighten her. “Yeah,” she replies dreamily, her thoughts already drifting to the next topic and the one beyond. In a few moments her breathing slows, and she is asleep. I lie awake in the dark for a long time.